Losing one tooth or multiple teeth can cause distress, emotionally and physically. Not only will it affect your appearance, but it may alter the way you eat and speak. At Broseley Dental Practice we can replace missing teeth so that they look, feel and function as natural. We are highly experienced in restoring missing or broken teeth so that you can get back to your normal self as quickly as possible. 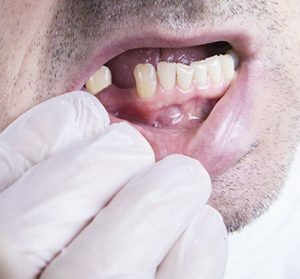 When you have lost your teeth, it is important to restore these quickly to avoid any deterioration of the jaw bone and to return your dental function to normal. We will assess your mouth and advise which is the most suitable treatment for you. Our dental team is helpful and supportive and we will always act in your best interest. If you are concerned about the cost of dental treatment, we are pleased to offer a range of finance options. This means that you can pay for treatments in instalments over a period of time which can ease the burden of a one-off payment.